Fast food is soooo 2015. Fast-casual restaurants are the new hotness. 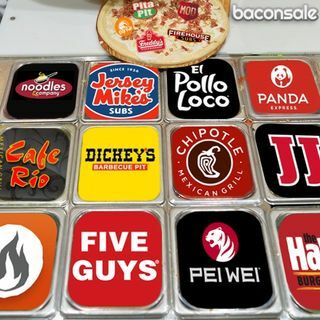 Therefore, it's up to Baconsale to rank dining establishments such as Panda Express, Chipotle, Jimmy John's, Zaxby's, Five Guys, Café Rio, Zupas and more as Tier 1, Tier 2 or Tier 3. And while Jacob seems to have an unlimited amount of Tier 2's, Kent's diet is ruining his ratings and Joel seems more focused on birthday freebies.